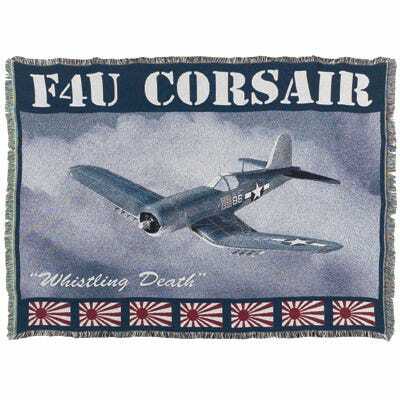 If you love WWII fighters then these Fighter Throws are a must have. 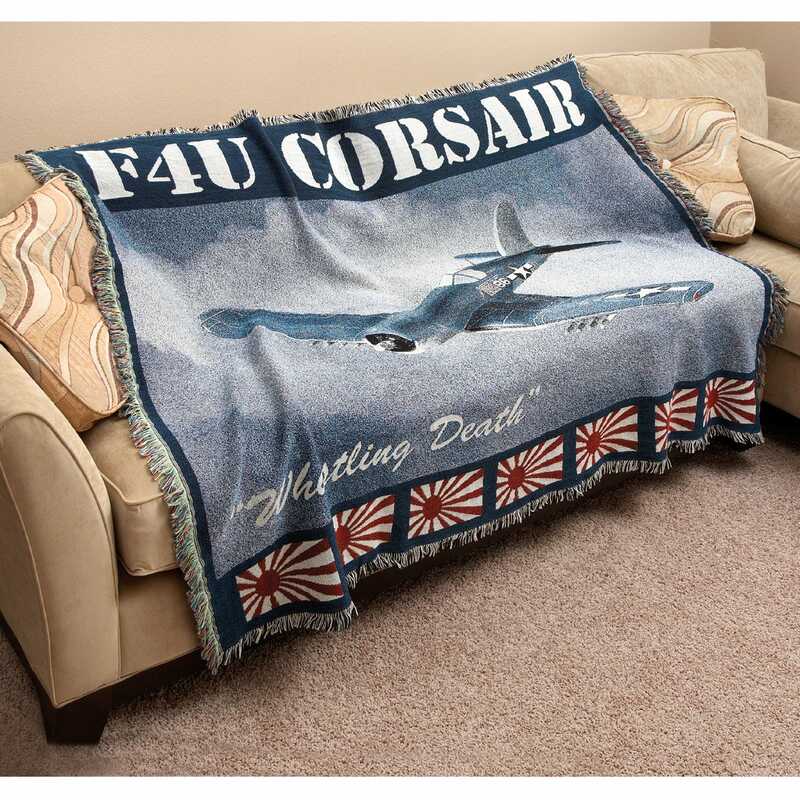 Each colorful Throw features a warbird in a dramatic scene. Made from a three-layer 100% high-quality cotton weave. Measures 48”w x 67”l. Machine washable. Most beautiful & warm blanket !